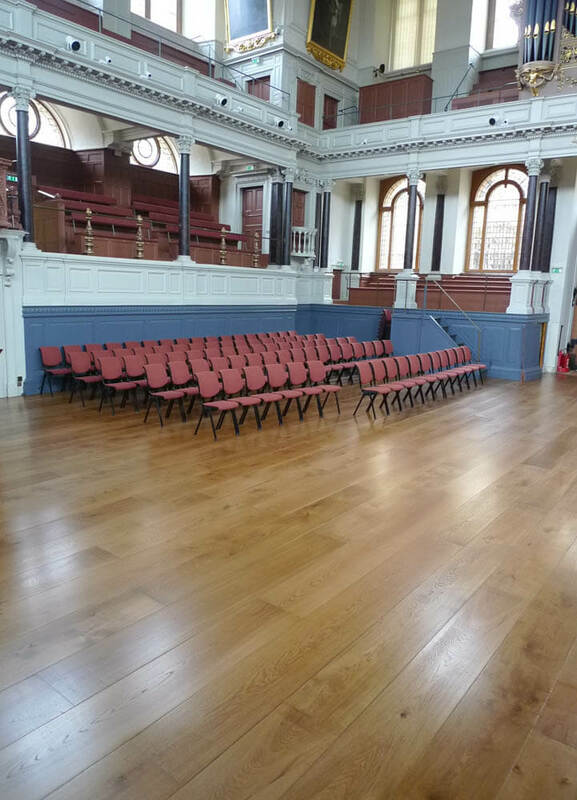 The Sheldonian Theatre is the jewel in the architectural crown of Oxford University. 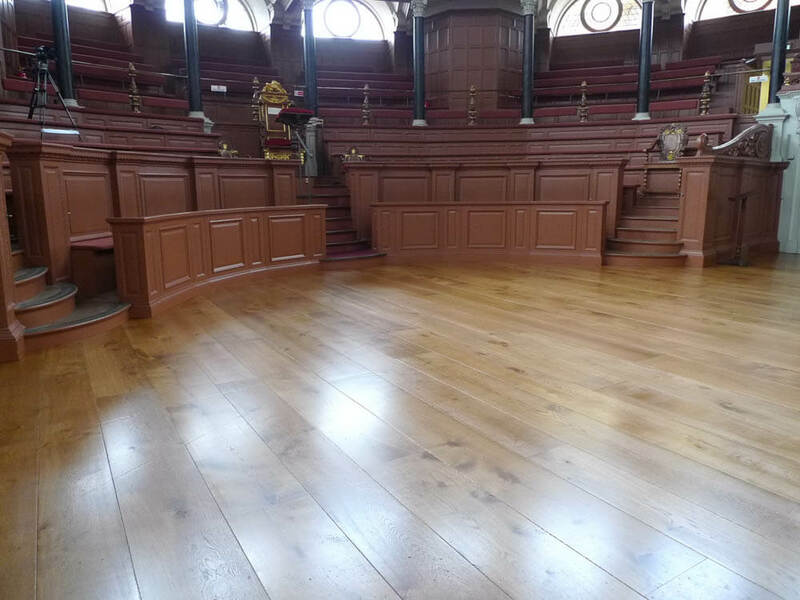 The building dates back to 1664 when it was designed by Sir Christopher Wren. 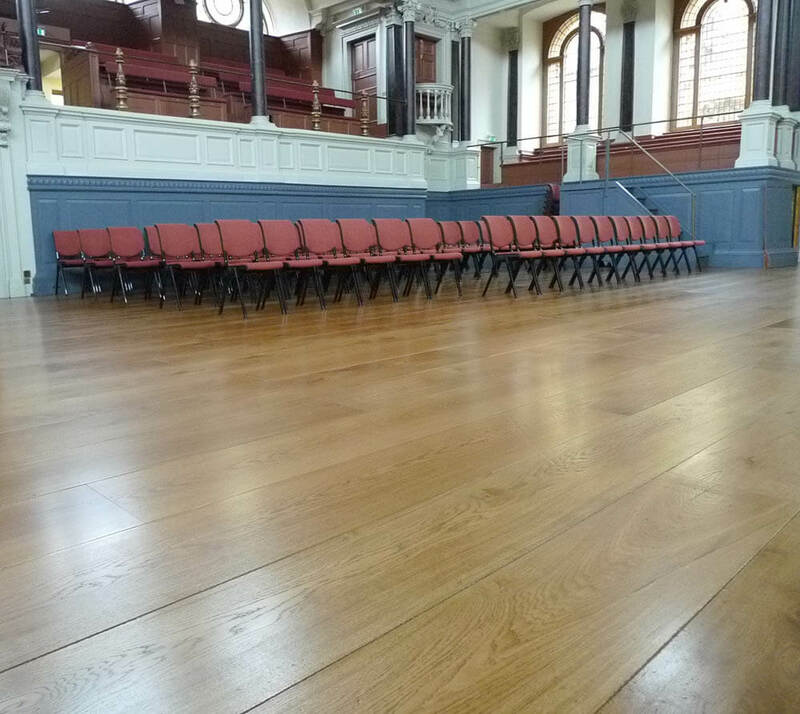 During the 1960’s underfloor heating was installed in the theatre and this was covered with Mahuhu parquet blocks which were fashionable at the time. 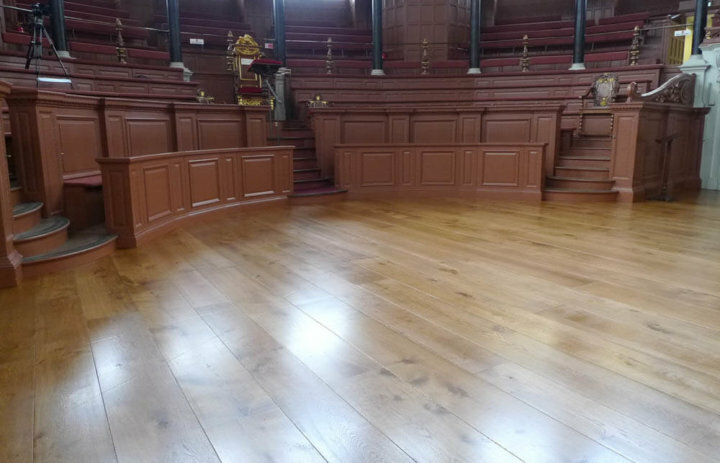 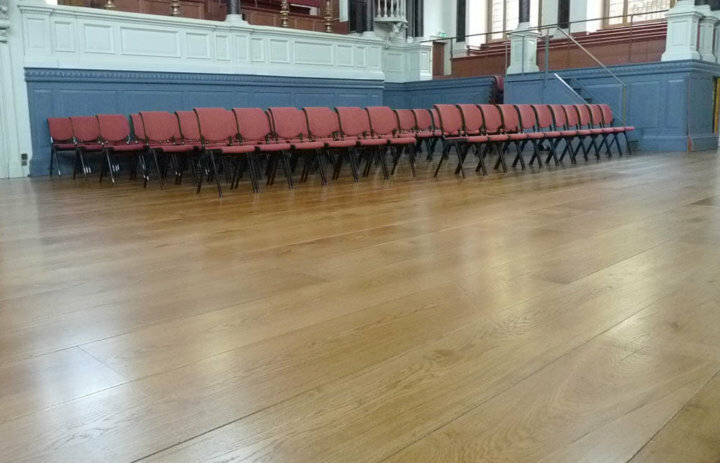 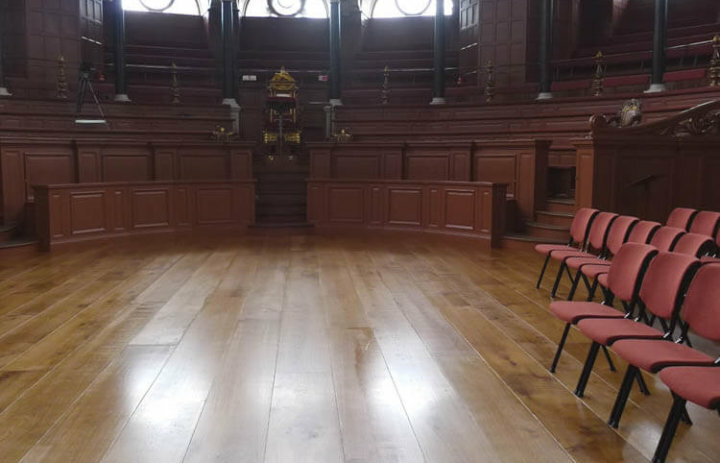 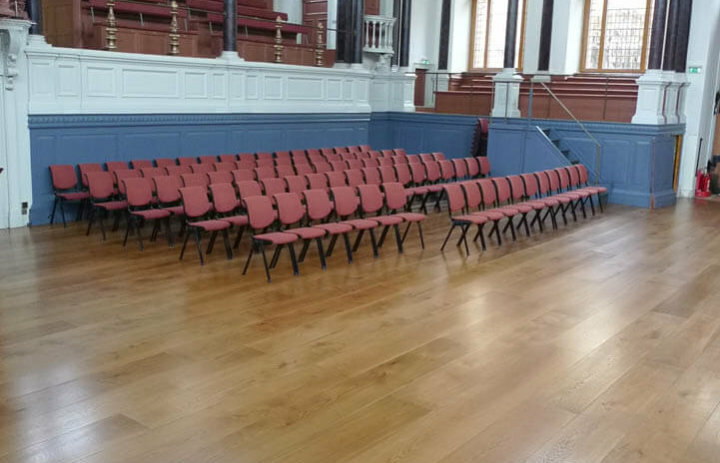 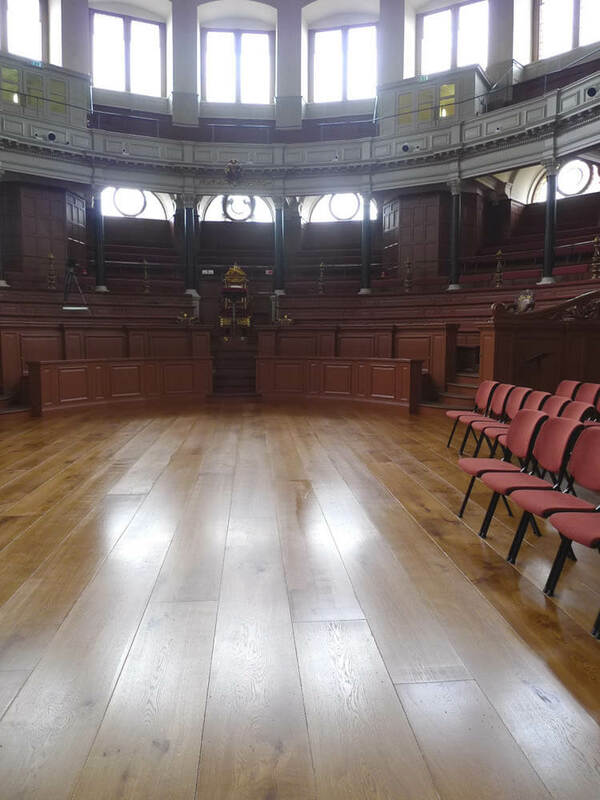 As part of a comprehensive restoration project, Oxford University engaged Chaunceys Timber Flooring and Chaunceys Floor Fitting team to remove the old parquet blocks and install Tectonic® Giant Oak boards over UFH in a symmetrical pattern in line with Wren’s original designs for the theatre.